I’ve always believed the experience of moviegoing starts with the poster. A movie’s one-sheet -- the poster that hangs in the lobby -- features the film’s key art, sometimes a photo collage, sometimes a painting that represents the actors or the action. Whatever the image, the idea is the intrigue. After all, the one-sheet is really just an ad designed to inspire ticket sales. For me, this experience was never more exciting than when the one-sheet featured the art of a man named Bob Peak. An artist with movie-star looks, Peak worked in advertising and magazines as an illustrator in the 1950s, then began designing movie posters in the early 1960s, most notably for West Side Story and My Fair Lady. For both, he brought something new to movies: a thrilling, highly artistic style that didn’t just create a collage of key moments, but a collage that became its own key moment -- a moment that, for me, actually began the film. Over the years, Peak brought this magic to Camelot, Our Man Flint, Funny Girl, Superman The Movie, Apocalypse Now, Excalibur, and the Star Trek movie series, to name a tiny sliver of the movies his work graced. 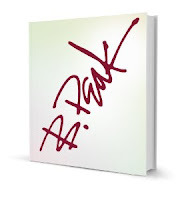 Now Peak’s work has been collected in a gorgeous book, The Art of Bob Peak (Peak Books). The book covers his entire career, moving from advertising and magazines to movies and beyond, to his covers for TV Guide and Time and fine art. Using different styles and taking into account the medium he was using -- a movie poster can hold more than, say, a TV Guide cover -- there is something about a piece of Peak art. His magic is as clear in a smaller image, of, say, Elizabeth Montgomery in “Bewitched” or Ricardo Montalban and Hervé Villechaize in “Fantasy Island” as it is for a movie. Peak simply knew what to do. At a time when the idea of a collage was simply a collection of moments in a film, he did something new: he wove images together. He found a base image and then layered in other ones, literally weaving moments together to create intrigue and excitement in what would become a single, iconic image. He provoked emotion -- and ticket sales. He didn’t just illustrate movies; he suggested them. And it was this suggestion, created with such high art, that kickstarted the feeling of the film. Peak set out to change how Hollywood sold its work. He started like many illustrators, doing advertising and magazine work. Movies came later, but his influence was immediate -- on moviegoers, the industry, and on key-art illustrators for decades to come. The book is filled with an exhaustive and inspiring collection of images, as well as essays and quotes by people who worked with or were influenced by Peak, such as directors Steven Spielberg, Frank Darabont, and Leonard Nimoy and artist Drew Struzan, who created key art for the Star Wars films, among scores of others. I think the most notable of these comes from Spielberg. Peak didn’t create the poster for Jaws, but Time magazine used the artist to create an issue in which the film was the cover story. The director said he wished he’d seen Peak’s painting of a shark before making the film, implying that the film would have been more frightening.